This policy applies to research contracts to be carried out by Wilfrid Laurier University (University) faculty members, staff or students, on or off University premises, using University personnel, resources, services, facilities or equipment which is being sponsored or funded (in whole or part) by an external client (e.g. private sector, NGO, government). All such contracts must be administered by the Office of Research Services (ORS) and include the University as the contracting party. These research contracts must benefit and be consistent with the mission and mandate of the University. The University is required, as far as possible, to seek full cost recovery from sponsors of research, and cannot subsidize external clients for whom they carry out research. Full cost recovery includes both the direct and in-direct costs of a research project. This policy discusses the negotiating and signing of research contracts with external clients, direct and indirect costs of research, the allocation of indirect costs, and other contract conditions. Contract research is research undertaken according to a specific written agreement between the University and a sponsoring external client. A research contract normally includes clauses or statements pertaining to specific "deliverables" or output from the research project; a schedule and date(s) for the completion of work, including progress reports and a final report; funds payable to the University and the schedule for payment, often in response to invoices sent to the sponsoring party for expenses incurred; the ownership of intellectual property resulting from the project; and publication and disclosure. The agreement, once signed by all parties, is a legally binding contract, subject to the laws of the province in which the contract is awarded. This includes the salaries of technical staff and students for time involved in the work and any other expenses which are necessary to complete the project. Indirect costs are any expenses that cannot be identified with a specific part of the University's teaching, research, or service activity. Indirect costs include property maintenance; the provision and maintenance of space and equipment; insurance; utilities; renovations; administrative services such as accounting, payroll, purchasing, and the ORS; and library, computing, telephone, office equipment, and staff or professional services not charged directly to the project. The ORS has authority within the University to negotiate the terms of a contract and legally bind the University. The individual or individuals, including co-investigator(s) who is/are primarily responsible for carrying out the research and related activities under the terms of the research contract. Only employees authorized by ORS shall negotiate any research contract under this policy. Faculty members or staff who wish to have discussions with external parties regarding possible terms and conditions of research contracts are required to directly contact the Director of ORS to get direction with respect to contract negotiation. The Director will designate a Contract Negotiating Authority to lead research contract negotiations in cooperation with the employee. No faculty member or employee, other than the appropriate Signing Authority, as outlined in Policy 5.7, may bind or commit the University to an agreement relating to contract research. a) The contract is in the best interests of the University. b) The contract has been reviewed and considers financial, legal and resource implications (including but not limited to space considerations). c) The contract is operationally feasible and the terms of the contract are financially reasonable to the University. d) The contract is in accordance with any legislative or regulatory requirements; policies, guidelines, collective agreements or other obligations of the University. e) Appropriate consultation has occurred with University administrative and/or academic units which have an interest in the contract. f) Provision has been made for adequate indemnity, insurance and risk management plans, and other appropriate protections. g) The contract preserves the intellectual property rights as per the University’s Intellectual Property Policy. h) The title to any donated or purchased equipment should be specified in the contract. Any equipment or materials purchased by the University as part of the project shall remain the property of the university unless otherwise specified. i) The contract includes reasonable and appropriate mechanisms for termination. In the case of termination, the University must be paid for all costs incurred or committed to the date of termination. j) The contractual obligations are integrated into the ongoing activities and responsibilities of the individuals involved, and of those of his or her academic unit. k) No right or obligation related to research contracts shall be assigned by either party without the University’s prior written consent. The University shall not subcontract any work to be performed except as specifically set forth in the research contract. A. On the Laurier External Grant and Contract Cover Sheet, which shall be signed by the principal investigator (PI) and all co-investigators, and the Departmental Chair and/or Dean of the academic unit of the PI, who agree that they have knowledge of the proposal; have determined that the project obligations can be fulfilled, including all institutional contributions; and agree that provision has been made for all the necessary space, equipment, other facilities and resources, and course remissions. When the installation of any major equipment or renovations are involved, arrangements have been or will be made to cover the installation and/or renovation costs. The Cover Sheet must be fully executed prior to the signing of the research contract. B. On the final copy of the contract, by the PI (and any co-investigators), who agree to be responsible for the technical, scientific and scholarly conduct of the research, including meeting all ethical, intellectual property, animal care, human subject, conflict of interest and financial requirements, regulations and procedures of the university and of the sponsor; and by the Vice-President, Research (or delegate), who agrees to administer the contract on behalf of the University, and that the financial and legal responsibilities of the University have been protected. The PI is responsible for the overall management of the research project and reporting to the external contractor as required. It is the responsibility of the PI to ensure that all charges authorized against University funds conform to the allowable expenditures within the approved budgets, with all terms and conditions of the contract, and with relevant University policies and guidelines. The PI must use contract funds for expenditures as budgeted within the contract. Only expenses incurred within the term of the contract may be claimed. The PI must ensure that all persons, particularly students and other trainees, working under the research contract are aware of and agree to comply with all applicable terms and conditions, particularly those related to publication, confidentiality and intellectual property. The PI must inform ORS immediately of any circumstance which could prevent the satisfactory completion of the research contract. Students may participate in contractual activities under the direction of a faculty member, on the condition that they agree to applicable provisions of the contract, including confidentiality and intellectual property requirements, in advance of their participation. Student involvement in contract activities may include thesis work, and the student rights in such work must be protected in the contract. Students may not participate in contract activities where the contract restricts or limits their right to publish their results or to defend their work in an open academic forum, unless prior authorization has been obtained from the Provost and Vice-President: Academic. Such authorization will not normally be given. All costs which are directly attributable to or identified with the research project must be charged to the project. This includes the salaries of faculty (cost recovery only), staff and students for time involved in the work and any other expenses which are necessary to complete the project. 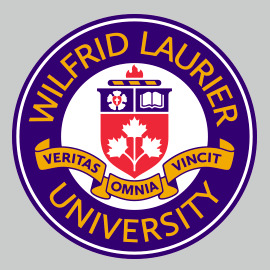 No faculty member shall receive payment from a research contract above compensation outlined in Article 30 in the full-time Wilfrid Laurier University Faculty Association Collective Agreement. Every contract for research accepted by the University must include a minimum overhead allowance of 25 percent, unless otherwise negotiated with the Contract Negotiating Authority.